New York City is on many lists for being one of the most expensive places to live on planet Earth. From rent and food, to daily transportation, it is incredibly difficult to afford a comfortable life in the Big Apple. An excellent and often overlooked method cutting costs is to limit water consumption and curtail plumbing habits. Another way to save money on plumbing is to find and repair any hidden leaks within a plumbing system. Most plumbing leaks are hidden away. 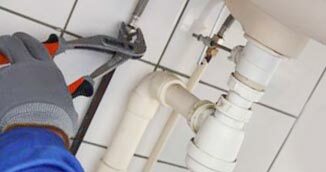 A professional plumber in NYC can find a leak and fix it with ease. It is also important to ensure that your drains are clear from excessive debris so that they do not clog or burst. Regular inspection and maintenance of these pipes will limit the occurrence of significant damage and their costly repairs. Remember to practice healthy plumbing behavior, to limit build-ups in sinks, kitchens, bathtubs, and showers. Being mindful of your water consumption and plumbing usage will lower annual utility bills.